General Awareness is an equally important section containing same weightage of 25 questions in SSC CGL, CHSL, MTS exams and has an even more abundant importance in some other exams conducted by SSC. Generally, there are questions asked related to Important events in Indian History(Pre-Independence period). So you should know important facts related to Indian History so that you can score well in General Awareness section. 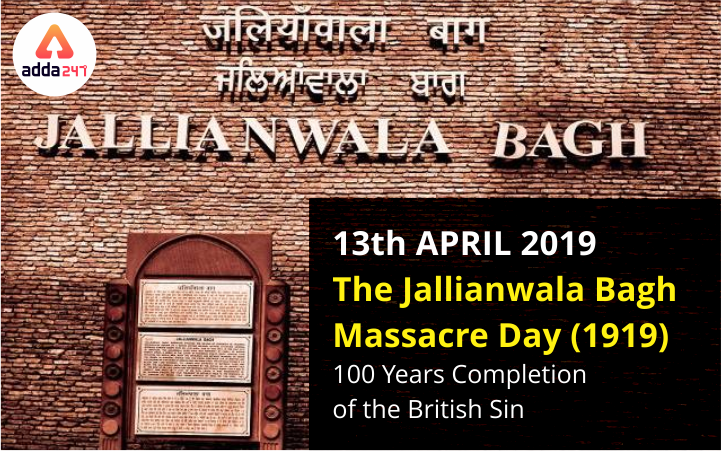 The Jallianwala Bagh massacre, also known as the Amritsar massacre, took place on 13 April 1919 when troops of the British Indian Army under the command of Colonel Reginald Dyer fired rifles into a crowd of Baishakhi pilgrims, who had gathered in Jallianwala Bagh, Amritsar, Punjab. The formation of Rowlatt Committee in 1919. The Rowlatt Act was a legislative act that allowed certain political cases to be tried without the presence of a jury and permitted internment of suspects without any trial. This is the time when Mahatma Gandhi came to light as a revolutionary. The Act resulted in furious protests throughout the country. They were also demanding the release of two popular leaders of the Indian Independence Movement- Satya Pal and Saifuddin Kitchlew. There were violent protests that resulted in the burning of the Town Hall and Railway station, disruption of telegraphs and communication system. It resulted in many deaths including a few deaths of the European government officials as well as civilians.The unrest became worst, especially in Punjab. On 13 April 1919, thousands of people were gathered at Jallianwala Bagh in Amritsar, Punjab. This day marks the beginning of New Year for the Sikhs and is also celebrated as Baisakhi festival all over Punjab.On the morning of Baisakhi, Colonel Reginald Dyer had announced the implementation of a curfew throughout Amritsar and a ban on all processions that even prohibited a group of 4 or more people to meet publicly. By mid-day, thousands of people were gathered at the Jallianwala Bagh including the devotees at Harmandir Sahib. Jallianwala Bagh was covered on all sides by walls reaching up to 10 feet. Dyer marched his fifty riflemen to a raised bank and ordered them to kneel and fire. Official British Raj sources estimated the fatalities at 379, and with 1,100 wounded. Civil Surgeon Dr Williams DeeMeddy indicated that there were 1,526 casualties. However, the casualty number quoted by the Indian National Congress was more than 1,500, with roughly 1,000 killed. The Bengali poet and Nobel laureate Rabindranath Tagore renounced the knighthood that he had received in 1915. The Hunter Committee was appointed by the British government. Committee known as Hunter Committee after its chairman, Lord Hunter, held Brigadier-General R.E.H. Dyer guilty of a mistaken notion of duty, and he was relieved of his command and prematurely retired from the army. A committee was formed with Pandit Madan Mohan Malaviya as president to raise a befitting memorial to perpetuate the memory of the martyrs. Udham Singh avenged the killings of 1300+ of his countrymen by killing Michael O’Dwyer in Caxton Hall of London. On the 31st July, 1940, Udham Singh was hanged at Pentonville jail, London.